The most important website in the world right now isn't Facebook, Google or Twitter but one that's lifting the lid on the machinations of governments the world over. It's also shining a light on racist political parties and trying to out those who are actively censoring the web. Wikileaks, for good or bad, is offering up the truth in a way that's not been seen before. Its motto is "to publish fact-based stories without fear or favour" and it's a site run by volunteers who seemingly seek nothing but fact. This week saw the biggest leak yet for the site. A total of 251,287 United States embassy cables were put onto torrents for anyone to download. According to Wikileaks, it's "the largest set of confidential documents ever to be released into the public domain." The documents go as far back as 1966 and offering them up to the public has seen the US and many other countries go into diplomatic crisis overload. But this isn't the first time Wikileaks has managed to deliver documents that have embarrassed whole countries and it certainly won't be the last. Below are 8 of the biggest leaks from a website that's only been around for four short years, but has already left a legacy that will last for decades to come. It's one of the most secretive religions in the world. Founded by sci-fi author L Ron Hubbard in 1952 and now seen as the religion of choice by the Hollywood elite, the methods of the Church of Scientology have been shrouded in secrecy for a long time. Wikileaks changed all this by posting "the collected secret 'bibles' of Scientology" – a whole host of documents that explained the hierarchy within Scientology. The religion and its lawyers were not best pleased. For some reason, not everybody in the British National Party is happy to have their name associated with the BNP. This became apparent when Wikileaks (and other blogs) published details of every member of the far-right political part, including addresses and what they did for a living. The document meant that anybody who downloaded the information could CTRL+F their way to finding out who in their hometown was paying the BNP to pedal its non-immigration stance. Teachers were exposed, as were members of the UK police force, which was bad news for the officers – it's illegal to be in the police and support the party. 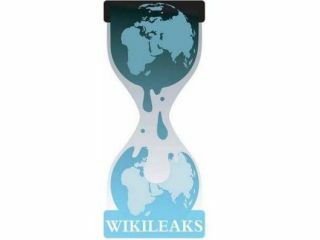 The leaking of the Afghan War Logs put Wikileaks firmly in the public conscience, mainly due to the US government publicly condemning the information that was made available to the public. Talk of torture, the death of civilians and a multitude of cover-ups did not make for light reading, but did show off the true horror of what was seen by many as an unwinnable war. Palin's latest slip of the tongue made her North Korea's latest fan recently, but it was her outed Yahoo email accounts that caused even more embarrassment back in 2008. According to information given to Wikileaks, Palin was using her private Yahoo account to send work messages – a minor faux pas, but one that is strictly forbidden when you're part of the US government. Considering she may well be running for President in the near future, we really hope she doesn't make the same mistake again. Or at least updates her personal email to something a bit hipper, like Gmail.